Test benches are typically the domain of professional overclockers or dedicated hardware reviewers such as ourselves; people who switch between motherboards, CPUs, coolers and memory on a weekly, daily or even hourly basis. 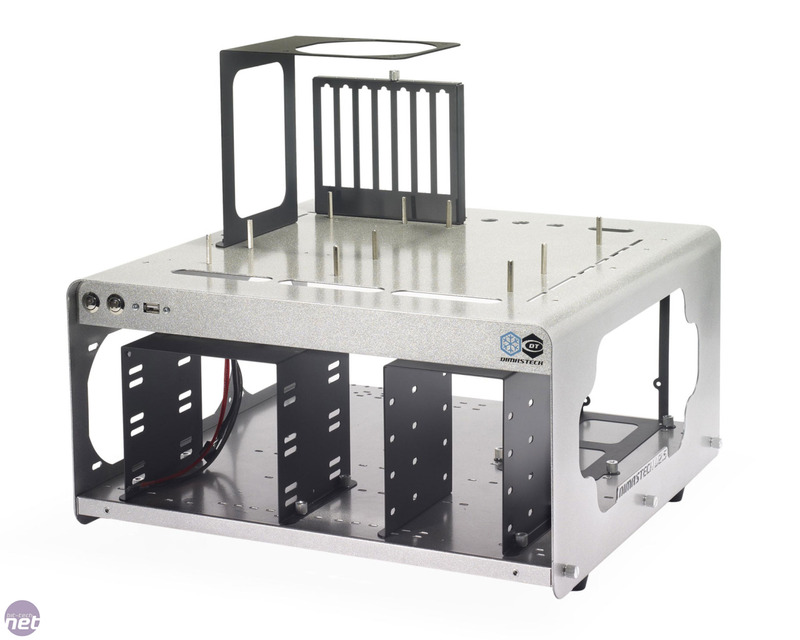 So it was with interest that we unboxed Italian manufacturer Dimastech’s Bench/Test Table Easy v2.5, a dedicated test bench for overclockers with a spare £100 lying around. Obviously, the purpose of a test bench is different to that of a PC case. 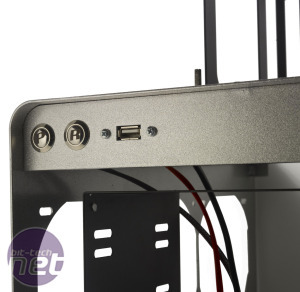 Whereas a case should protect the hardware inside it while providing easy installation and plenty of cooling, a good test bench needs to allow constant easy access to all the components. 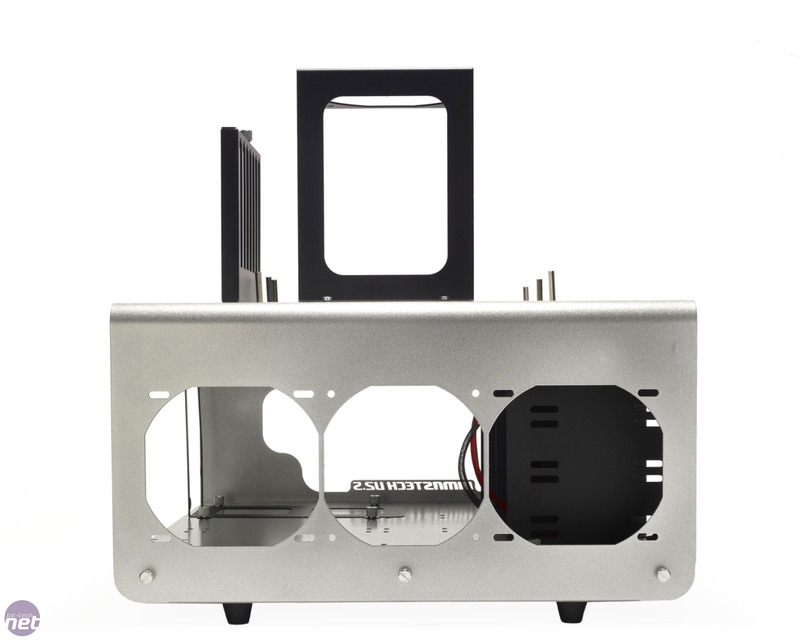 A great test bench should also provide cooling and support the widest array of hardware possible. 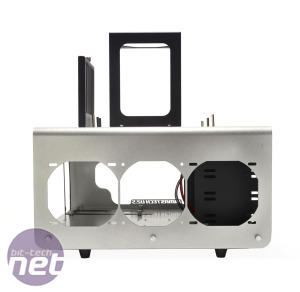 This can range from mini-ITX low-power systems to E-ATX motherboards, dual power supplies, water-cooling loops, multi-GPU setups and even liquid nitrogen cooling. A test bench also needs to be hardwearing; plastic fittings won’t cut it when you’re regularly replacing parts. Happily, Dimastech has done its homework with the Test Table Easy, and the 1.5mm powder-coated shell of the test bench feels both well made and very tough. The test bench doesn’t come ready to go, though, and a fair amount of flat-pack construction is needed. It doesn’t require any DIY skills other than those you’d need for a simple Meccano kit to set up the Test Table Easy, but before the bench is ready for use, you’ll need to fit the lower shelf to the main top section, screw in the rubber feet, fit the power and reset buttons, and secure the wiring too. Thankfully, all of this can be done without the need for tools, thanks to the use of thumbscrews and thumbnuts. When fully assembled, the frame of the test bench wobbled slightly; this is nothing to be concerned about, although it could have been solved by a central support strut. 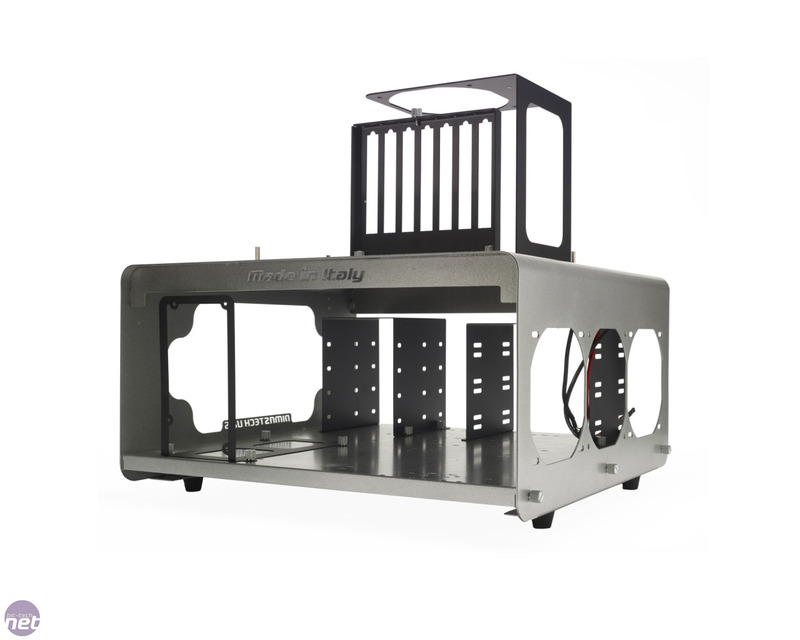 As test benches need to be able to support all kinds of hardware choices, the Test Table Easy’s lower shelf is pre-drilled with dozens of screw holes through which you can mount the steel PSU bracket, 3.5in drive cage and 5.25in drive cage in any orientation you wish. 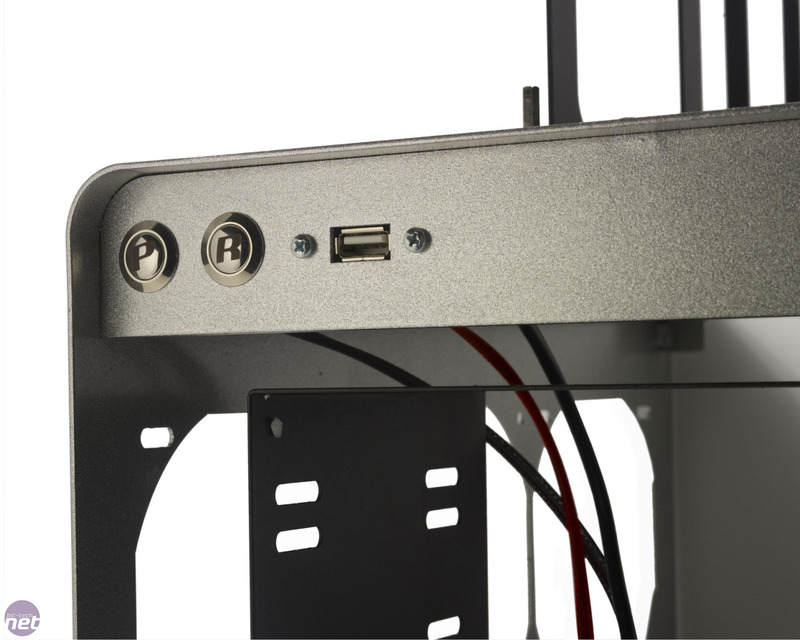 This not only gives you plenty of scope for future expansion – there’s more than enough room for a second or even third full-length PSU should you buy the extra brackets – but also allows you total control over the setup. If you don’t plan on fitting any 5.25in drives, just leave the cage out.